Distillation is a procedure that separates a mixture of liquids with different boiling points. Distillation is a useful technique in chemistry labs, where chemists use it to purify a compound, and also in industry, especially in the petrochemical and refining industry and in the manufacture of ethanol. It is for this last that distillation is most famous--alcoholic beverages are produced through a process of distillation. If water is placed in a sealed container and allowed to evaporate, it will eventually reach an equilibrium such that the water vapor is condensing just as fast as the water is evaporating. The pressure of the vapor at this equilibrium is called the vapor pressure. Vapor pressure is different for different substances and varies with temperature. In a mixture of two liquids with different boiling points, the vapor will have more of the liquid that is more volatile, i.e., evaporates more readily. In simple distillation, the liquid mixture is heated and the vapor rises through a tube and is collected and recondensed. The recondensed liquid will have a higher concentration of the more volatile component than the original mix. If the two liquids in the original mix have widely different boiling points, a one-step evaporation and recondensation process is all that is necessary. This process is called simple distillation. Fractional distillation is similar to simple distillation, except the same process is repeated in successive cycles. Each cycle produces a mixture richer in the more volatile compound than the mixture before it. Fractional distillation is necessary when the boiling points of the liquids in the original mix are close enough to each other that simple distillation is not enough to purify either compound. Some liquids boil at such high temperatures that simple or fractional distillation using the process described above would be impractical or dangerous. Vacuum distillation, however, offers another alternative. The boiling point of a liquid falls when the pressure is reduced. The boiling point of water, for example, is lower at high altitude than at sea level. By reducing the pressure in the container, the boiling point of the liquids in the mixture can be reduced and the mixture distilled at a lower temperature. This technique is called vacuum distillation. Owing to the intermolecular attractions between molecules in the mixture, mixtures may have a higher or lower boiling point than either of their components. A mixture of this kind is called an azeotrope. When the liquids in the azeotrope evaporate, the vapor has the same composition as the mixture, so azeotropes cannot be distilled using the techniques described above. 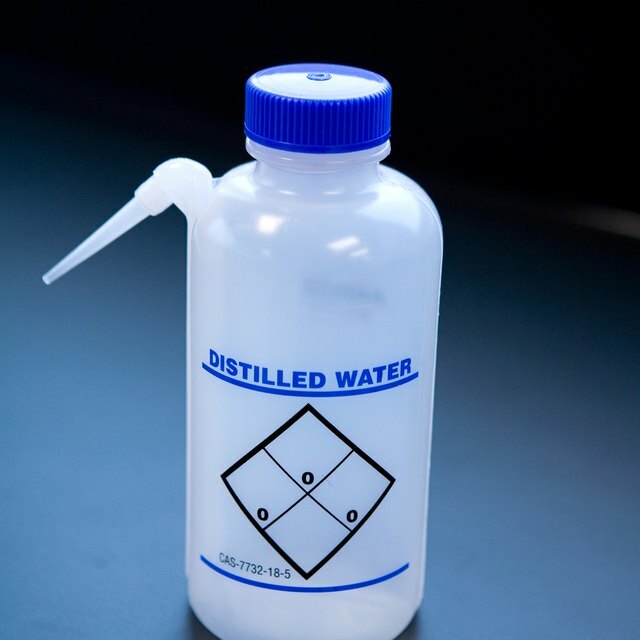 They can still be distilled, however, but only through one of several other methods. In extractive distillation, a solvent that will mix freely with one component but not the other is added to the mixture. The new mixture can then be separated by distillation. In reactive distillation, by contrast, a chemical that will react with one agent but not the other is added, creating a new mixture that can be separated by distillation. Finally, adding ionic salts may alter the volatilities of the compounds in the mix in such a way that they can be distilled. These three techniques are collectively called azeotropic distillation. "Chemical Principles, the Quest for Insight, 4th Edition"; Peter Atkins and Loretta Jones; 2008. What is a Nonvolatile Solute? Brennan, John. "Types of Distillation." Sciencing, https://sciencing.com/types-distillation-6924000.html. 13 March 2018. What Are the Disadvantages of HPLC?